I’ve always been a gin girl. My parents are gin people and their parents were gin people. To me, there is nothing more perfect than a well made G&T. Friends say they drink vodka because they don’t like the taste of alcohol, and that is precisely why I don’t care for the stuff—it doesn’t taste like anything. The spicy juniper notes of gin tickle my nose and make my taste buds sing. But vodka…it’s just a tasteless way to get a buzz. Vodka has been largely left out of the craft cocktail craze, but move over aged sherry and Aperol, because Ketel One is trying to change that. 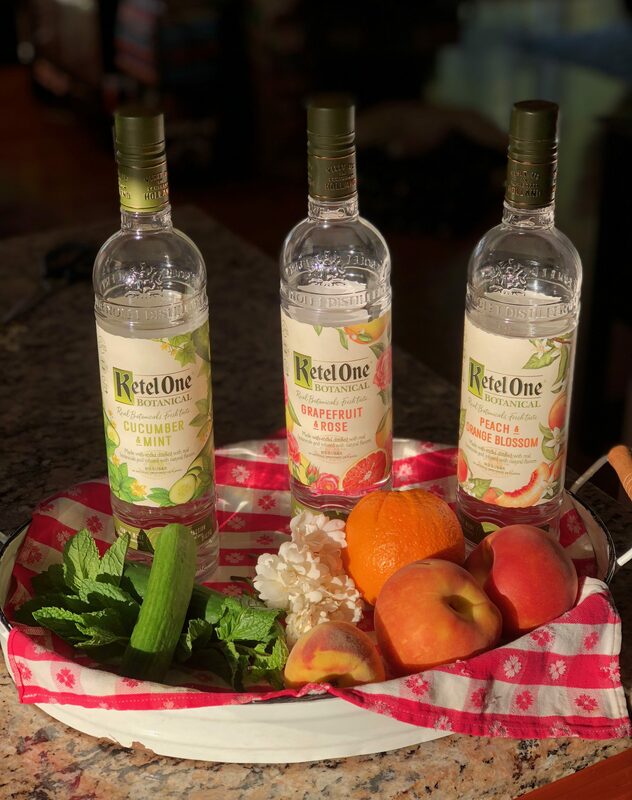 Enter Ketel One Botanical, a trio of new vodkas distilled with real botanicals and infused with natural fruit essences. The triumvirate includes Grapefruit & Rose, Peach & Orange Blossom, and Cucumber & Mint. As anyone who reads this blog knows, this is classic Swoon Society territory, so Kirsten and I set out immediately to see if there was any swooning to be done. Kirsten surprised me one night by coming over with the Grapefruit & Rose vodka. The label is so pretty, you would not recognize this as a brand that is available in your local CVS. 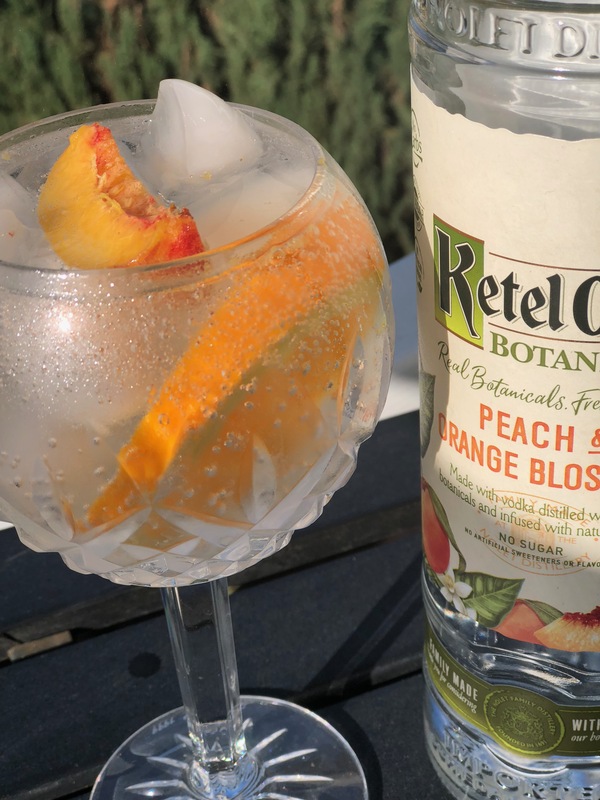 What separates Ketel One Botanical vodkas from other flavored vodkas is that fruit essences and herbs are distilled into the spirit, giving the vodka a clean taste that isn’t sugary or artificial (think La Croix or Spindrift avec alcohol). It’s refreshing and delicate—a perfect foil for tonic or, if you are looking for a lower calorie drink, a splash of soda water. There are no carbs, and only non-GMO grains are used. And, at only 73 calories a serving, it’s a skinny drink too. We made our first cocktail. The rose flavor was not too forward, so don’t be afraid to try it, even if you aren’t a person who loves the taste of roses in your food (like we do!). Put lots of ice in a goblet or lowball glass, garnish with a wedge of grapefruit and an organic rose petal, and then charge your guests $16, since you are now a purveyor of craft cocktails! We soon purchased the other flavors. The Peach & Orange Blossom was the favorite among our friends who tried them. It was the most accessible, flavor-wise, and the essence of peach is quite lovely. 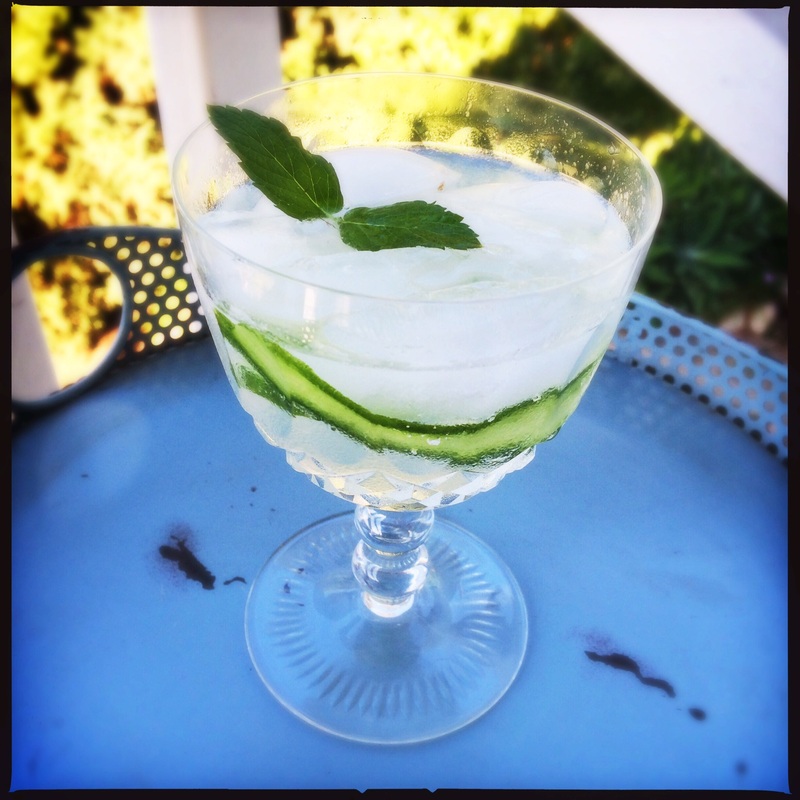 I really love the Cucumber & Mint because this summer was a hot one and it was so nice to have an ice-filled cocktail with a long slice of cucumber and some mint sprigs outside in the evening. To be honest, the Grapefruit & Rose is probably my least favorite,* only because the rose flavor is almost too subtle to be detected. I will be keeping all three flavors in my home bar, though. They are a big hit! Step away from your rosé, folks! Back away from that bourbon! Cast aside your Campari! Vodka is back, Baby! I never thought I would say that. I hope I don’t read that they are going to re-launch Tequiza next week. Some things, like Bruce Willis singing the praises of Bartles & Jaymes wine coolers, Zima, or even my ’80s hair need to remain a distant high school memory. Ketel One vodkas are available at BevMo and most supermarkets and liquor stores. Well, phooey. I was going to upload a photo of your ’80s hair, just for fun. Oh, well. I AM a vodka person, so I’ll be sure to try these!